As is the case with many other companies, there was meagre interest at Baxter for investing in IoT solutions. The costs overshadowed the potential and seemingly remote possibilities. However, this Swedish sales company identified a need amongst its customers and, of its own accord, ushered in development. Which is something they are happy about today. 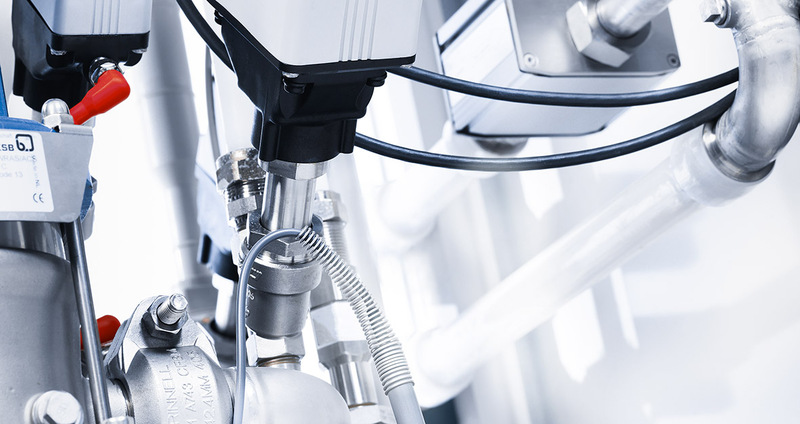 "Nowadays, customers often stipulate during the procurement process that water treatment systems which are connected to dialysis machines must be able to log and submit data in real-time," explains Bengt Andersson, Head of Servicing for water treatment systems in Sweden. "Because we recognised what was going on, we are now better prepared and the whole Baxter Group is following our lead." For patients requiring dialysis owing to severe kidney and liver conditions, it is paramount that water treatment functions optimally and with no interruptions. "Dialysis machines need purified water, otherwise they cannot work. In a way, a water treatment system lives a solitary existence in a room which, for the most part, is not monitored by hospital staff. By utilising an online system, we can now monitor these systems in real-time and take action if something goes wrong." For Baxter, being able to monitor the systems remotely is invaluable, as they have equipment installed at hospitals and clinics in far-flung locations across the Nordic countries. This means that a technician in Stockholm is now able to see which spare parts to take along to a job in Kiruna. Connecting systems online also allows for upselling and builds stronger relationships with customers. "All 175 clinics we work with at present are potential customers for our new logging service. They no longer need to have an on-site technician, which results in significant savings. We also intend for the machines to have direct contact with the laboratory department so that information concerning water quality is entered into the system directly. The goal is for our personnel to be able to obtain a Medical Products Agency-certified log-book for each system. This will enable us to further assist our customers in terms of saving time – which can be spent on other things." "Would personnel prefer to be alerted directly or that the system, instead, only logs the information and alerts us so that we can assess the situation? This necessitates that we are percipient to our customers' work situation, which can vary from clinic to clinic. Just because this possibility exists doesn't mean that everyone wishes to utilise it."